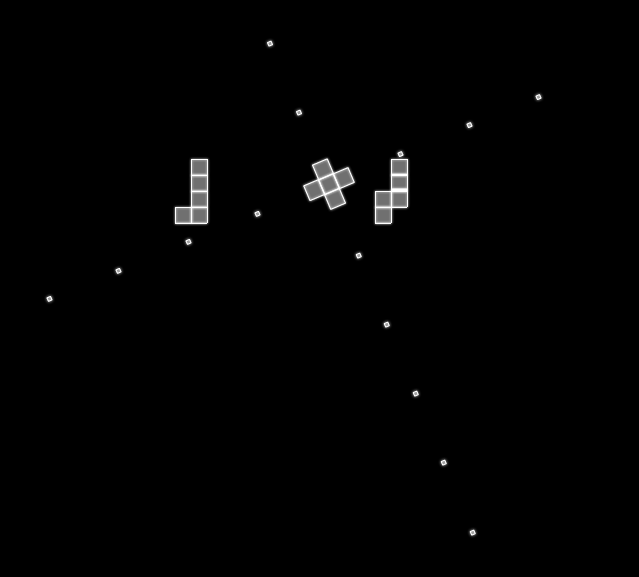 Square Shooter is an exercice to design any game with pentaminos but a tetris-like. 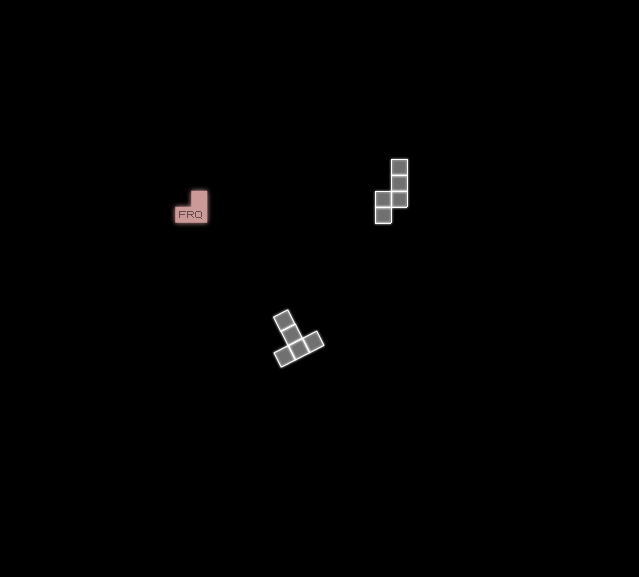 In this shooter, the player can have 3 different shapes whilst the enemies will be represented by the remaining pentamino shapes. 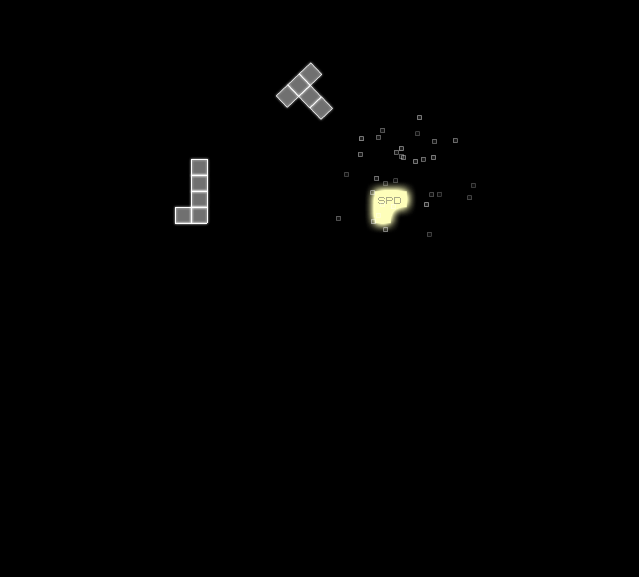 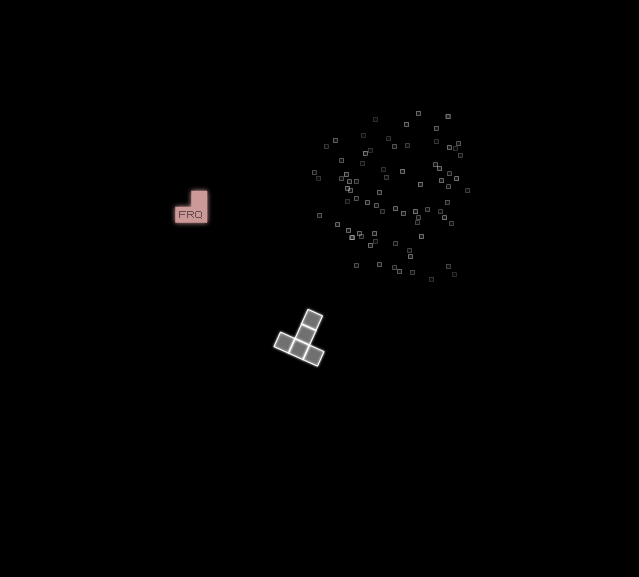 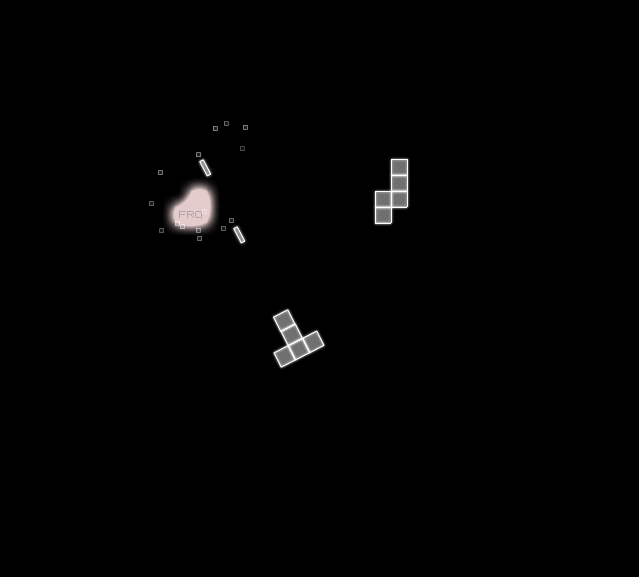 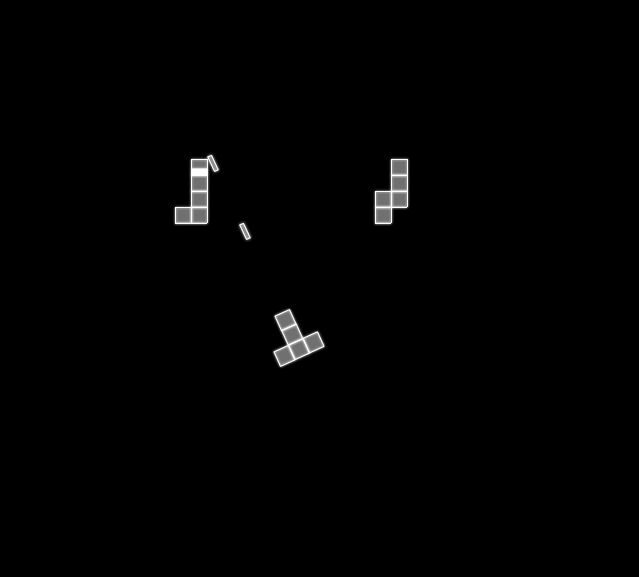 Enemies are made of squares and the player has to shoot at them to destroy the ships. 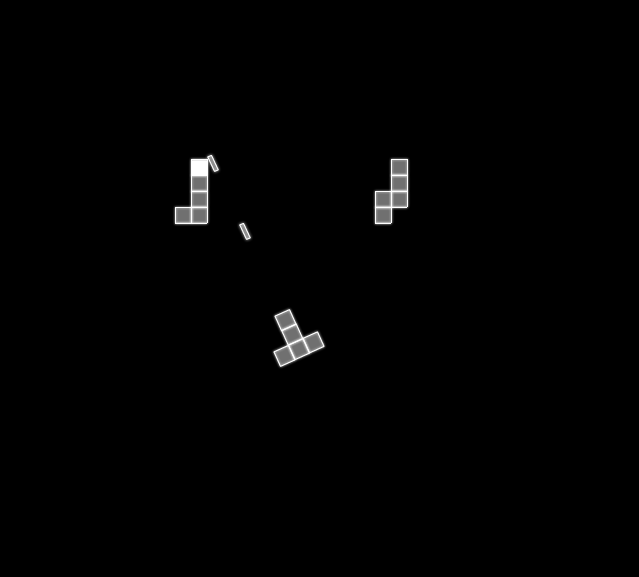 If he manages to leave 3 squares in a shape of a L, in either rotation, the player will get a bonus for speed, shot frequency, life or power. 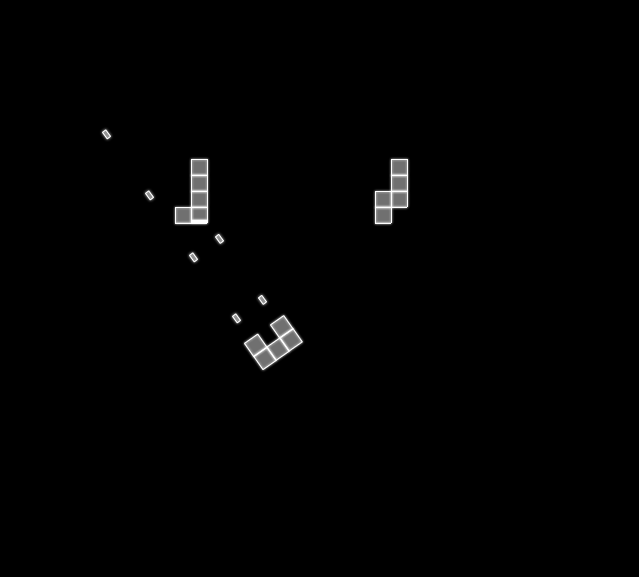 Changing shapes allows to shoot differently and with different power to adapt to any situation.